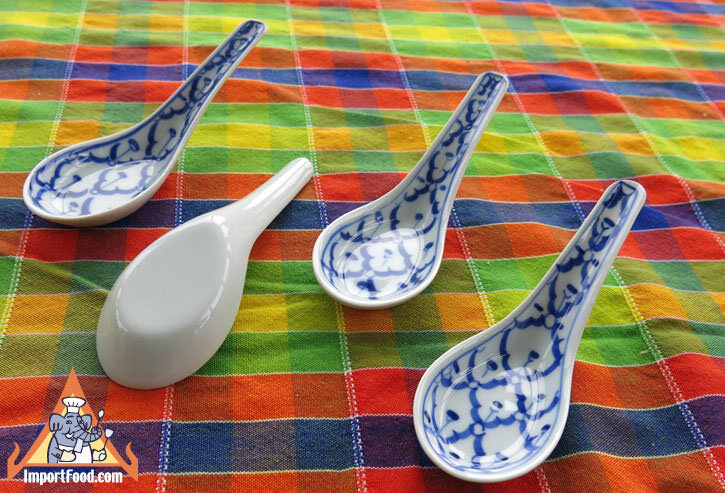 This is a set of four beautiful, traditional Thai soup spoons hand painted in the traditional style. Every spoon is kiln fired then inspected to ensure that they are absolutely flawless. We only import flawless top grade so you won't see any scratches or flaws of any sort. The spoons are 6" long, 1 3/4" spoon width, holds 1 tablepsoon. Flat base as shown.